Youth With Vision strives to create drug free communities for future generations by putting education into action. 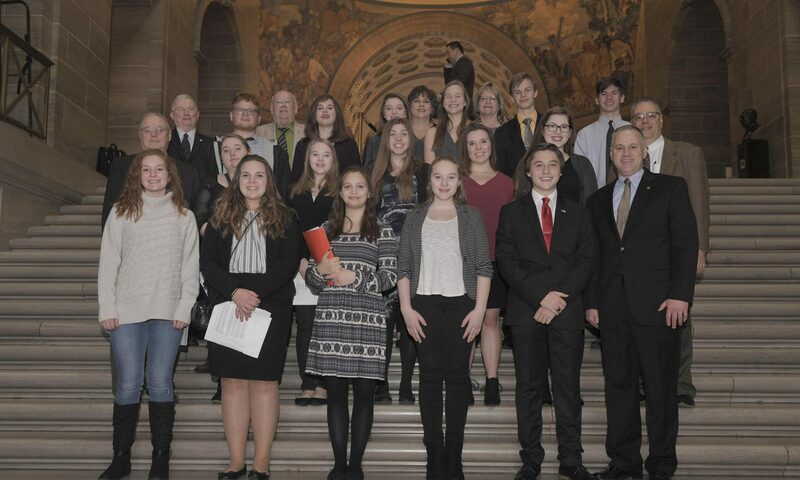 Youth With Vision is a student-led organization made up of 8th-12th graders from the 14 different school districts in Ray, Platte, & Clay counties of the Missouri Northland. Members are elected based on their leadership skills and accomplishments, but come from a variety of social classes and ethnicity. The programming they create is distributed universally to all middle school and high school students in the three county area. Members go even further into putting education into action by meeting with our state legislators once a year to advocate for Youth With Vision and what it stands for.